This cozy, family-friendly neighbourhood is located in western Ottawa, not far from Nepean and Carlington. Nestled among several public schools and Catholic schools, Bayshore is an ideal place to raise a family. 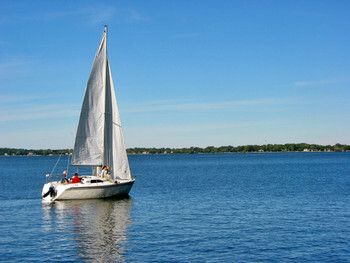 Lakeview, Bayshore, Winfield and Andrew Haydon are a few of the parks close to many family homes and apartments. The Valleystream Tennis Club and Park is just to the south, below the Trans-Canada Highway. Britannia Park is only five kilometers east of Bayshore. The site of past music festivals, Britannia is a good place to spend the weekend with the kids. There’s also a beach open for swimming during the summer. The Bayshore Shopping Centre, less than five minutes from Marina Bay is right in the middle of the community. There’s a wide range of retailers including Banana Republic, Zellers and the GAP, as well as several great places to eat. You can also stop by for a movie at the Coliseum Ottawa Cinemas, just a short drive away. Bayshore has a great variety of restaurants, many of which are found on Carling Avenue. Check out Tai Ping for delicious Chinese, just a few minutes walk from attractive Carling Avenue condominiums. Grab a pizza or burger at Lorenzo’s Pizzeria or head over to Ralph and Sons Diner for breakfast. Just off Carling on Kempster Avenue, Pookie’s serves amazing Thai food. And if you’re looking for something a little different, check out Ceylonta for authentic Sri Lankan and South Indian food. Think you’d like to know more about this community? Don’t hesitate, see what Bayshore real estate is available!